What do you see when you look in the mirror? Do you actually look at yourself? Have you ever looked deeply at your own eyes; the colour, variations between the outer iris and the inner iris; the pupils, changing size slightly as you turn your head and the light changes; the patterns within the colours? What kind of feelings come up for you when you look at yourself? It is so hard to see the good in ourselves. We spend so much time looking at others who are ‘like this’ or ‘like that’, instead of the reality that is ‘I recognise that quality in myself.’ However small it may be, it IS there. Why is it so hard to bring the attention back to ourselves and look within for the truth? If we are kinder to ourselves then we can be kinder to others in turn. Now, I know there are times when I am calm, and it takes effort! person! I love the way they xyz…!’, I would like to suggest that you take a minute or two and make time for the truth within yourself. Because if you see it in someone else it must also exist within yourself; you just don’t see it too often, or maybe haven’t seen it for a while. Take a hand mirror nearby, and a have comfy seated position. Take some time to breathe into your belly. Allow the breath to be as natural as possible, but feel it moving your navel back and forth. Relax your shoulders. When your breath feels free, bring your attention to your heart space. Close your eyes. Without changing the flow of your breath, as the inhalation comes in feel your heart space focus increasing. As your body exhales keep the focus on the heart and stay relaxed. On the next inhalation begin to think of an attribute you admire in someone, such as calmness, kindness, patience, dedication etc. With each inhalation feel your heart space growing with this quality. Picture that person too, if that helps to increase the sensations around your heart. Don’t count your breaths; just feel the heart space growing, as clearly as possible with your chosen attribute. When you feel the heart space is open and full of feeling, gently open your eyes and take your hand mirror. Look deeply into your eyes, both in turn and allowing the eyes to be unfocused if you like to see them both. See this quality deep within your eyes. You know it is there, you felt it. If tears begin to flow, try to allow them and accept them. It’s just a release, whether from judging yourself too harshly or the realisation that you are also a sensitive, kind, xyz human being. Spend a few minutes in this space, and when you’re ready to come out I recommend you take a look around your room to bring yourself back into the present. Place the soles of your feet on the floor and feel the ground underneath. Take a few breaths before you come out of your meditation, and notice your own calmness as you continue your day. And the next time you notice some wonderful quality in someone, you can compliment them on it, with a grateful smile, as you are reminded that this wonderful quality is there in you too! 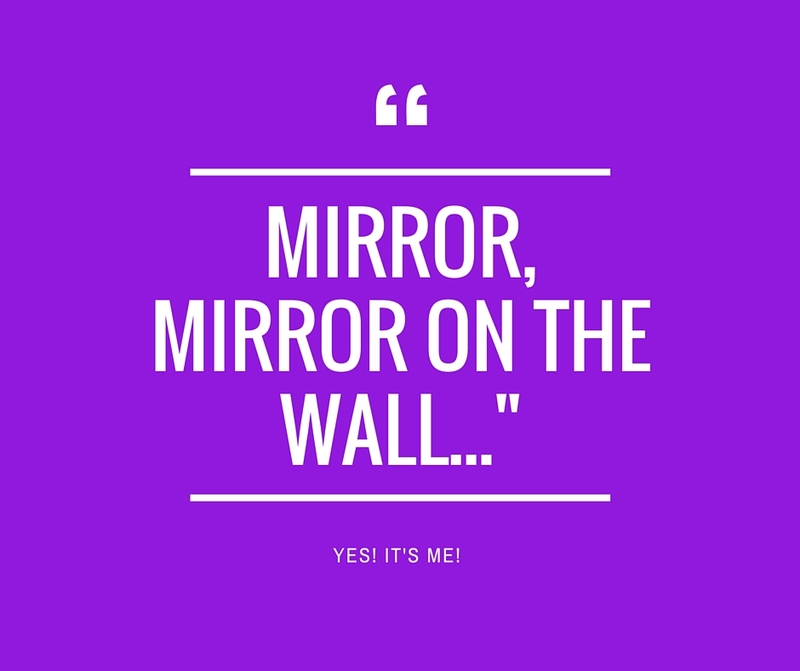 No Replies to "Mirror, mirror on the wall... that's me?"